Will Social Gaming Lead To Real World Debt? It’s easy to get sucked into games on social networks. You think it looks cute to have a “farm” and “tend” your crops, and next thing you know you’re sucked in to this thing, and you aren’t even sure why you keep playing it, but you do. While most players are smart enough to avoid the traps of paying for anything in the game with real money, there will always be some that end up doing so, and if they are not good enough with money to realize just how much they are spending, or are too young to understand, it can lead to some very real debts. The Guardian recently ran a report about a 12-year-old boy in the United Kingdom who spent £913 (approx $1400 USD) on playing FarmVille in March. He emptied his savings of £288, and then racked up £625 on his mother’s credit card. Zynga, the company behind FarmVille, has declined to refund the money, and the woman’s credit card company said they would refund it only if she pressed criminal charges against her son. The boy has now been removed from Facebook (remember, the minimum age for an account is 13-years-old), but it does raise an interesting question if this is something we could begin to see happen more and more. 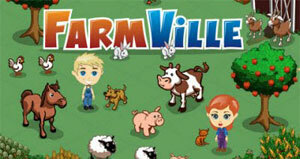 It is estimated that in 2009 Zynga brought in $300 million in revenue off of the sale of virtual goods. Projections for this year are placed at $525 million, and a whopping $1.6 billion by 2015. Some estimates place the value of this company which was barely heard of a few years ago at around $5 billion. All of this is off of projections of the number of users, an average amount spent per user and so on, so it all could change, but it shows that Zynga, and other companies like it, have a very large stake in making sure you buy as many virtual goods as possible. And that’s where it all gets a bit insidious. You don’t really feel like you are spending that much. You don’t see things cluttering up your house, all you see is your farm producing more crops, or your fish are living longer. It’s a click or two of the button and you’re done without any thoughts about how much you just spent until the bill arrives at the end of the month. Even the debit cards you can buy in retail stores for use on Zynga games won’t always portray how much you’ve spent because it’s easy to say, “Well, it’s been a while since I picked one up,” not realizing and/or admitting it was really just a week ago. While I feel the vast majority of players will be responsible individuals, you know it is almost inevitable we will hear about someone losing control of themselves and going into debt. Will it be Zynga’s fault? Not really, just like it isn’t the fault of a casino when someone gambles themselves into debt. Each person is ultimately responsible for their actions, but I can just bet you this news story showing up isn’t all that far away. Have you ever bought virtual goods for a game? Would you? Why wouldn’t you?